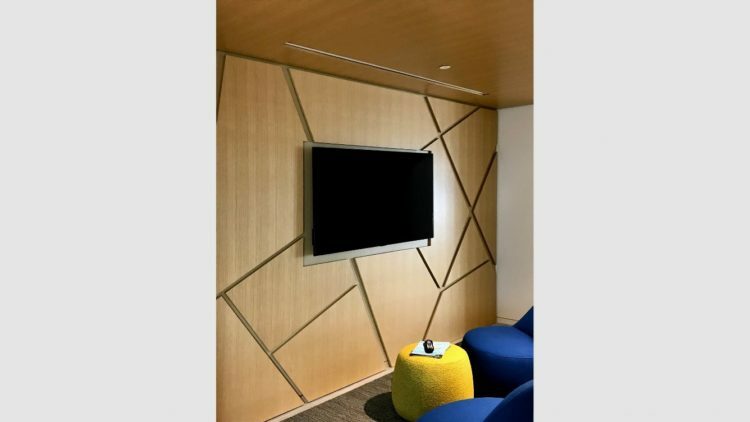 McGuire Woods LLP, Tysons Corner, Va. | Midlantic Sales Group, Inc.
McGuire Woods LLP, Tysons Corner, Va.
With the elegant look of wood and exceptional sound absorption, Rondolo* micro-perforated panels and planks are excellent for ceiling and wall applications. Rondolo*, having micro-perforations that virtually disappear at a distance, gives the appearance of a monolithic wood or wall installation. Specifics on this product include: Class A fire rating on finished composite; NRC of up to .95; design flexibility; available in FSC C020536 certified wood; full access; and seismic certified. A variety of wood veneers are available with a clear lacquer finish, custom stains and solid colors. 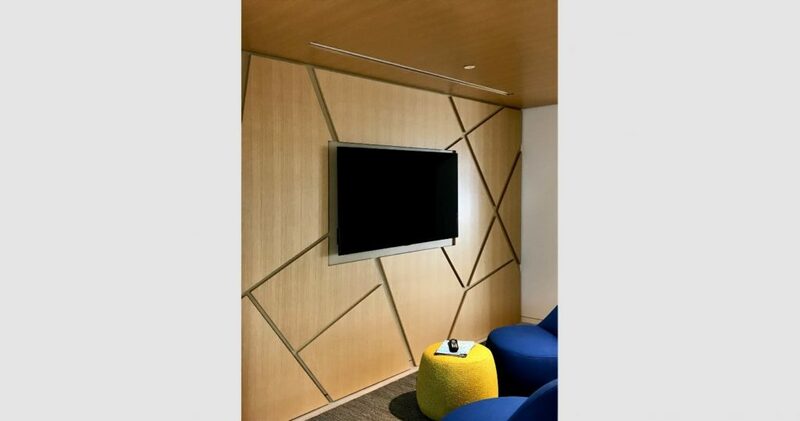 These panels can be pre-curved and custom-engineered to a variety of shapes and sizes to enhance any space (minimum curving radius is 30” with a maximum width of 30” and 60” in length when using Ceilencio* suspension system. Larger sizes are available using other ceiling and wall mounting systems).